Hello everyone! So looking through my old posts, I haven’t written a makeup collection post since 2013 and it’s safe to say my makeup collection has grown and changed a fair amount since then! I’ve stepped out of my comfort zone of only using ‘drugstore’ makeup and my little collection is still growing! 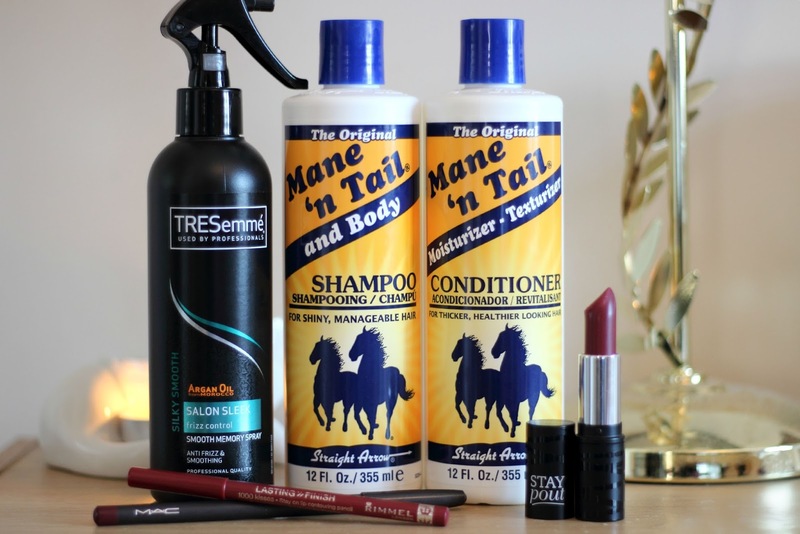 If I have written any reviews for the products in this post I will link them as I go along. I’ve been trying to grow my hair for the past two months, so I have ditched my straighteners and started plaiting my hair before I go to sleep, however, because my hair goes quite frizzy straight out of plaits I needed a little help. My hairdresser recommended this, I didn’t have too high hopes because I’ve tried a lot of anti-frizz products and nothing worked, so I was surprised when this actually helped! It contains Argan oil, which usually I stay away from as it can make my hair greasy quite quickly but I haven’t had that problem luckily. I just spray two or three spritzes of this though the lengths of my hair before plaiting and once I take them out the next morning my hair is still a little fluffy looking but it’s controlled and looks like a natural wave. Anyone who uses my bathroom must think I’m a little mad with these two just chilling in my shower! These two are primarily made for horses, but they are suitable for humans too. It’s something I stumbled upon around 3am whilst roaming around YouTube, I came across a channel (Cosmetic Charlotte). She was talking about this shampoo/conditioner and how it had helped strengthen her hair, therefore, helping it grow longer.. Her hair is already pretty darn long though! I ended up doing a lot more research and I couldn’t find a single bad review, the only thing that had been said a lot was that it made the hair very sleek and a little difficult to work with at times. Luckily, I haven’t had that problem so I love this! Bought both the shampoo and conditioner from eBay for £6.99.. Bargain! Since using this my hair is so soft and it has got fairly long, but that could be because I’m not using heat on my hair other than my fringe. Even that has grown a crazy amount! Definitely worth a try, once I’ve used both bottles up I’ll write a more in depth review. Autumn is all about deep lips for me, I love how it can pull your makeup and outfit together for an autumnal look.. My favourite lip colours for this have been Seventeen ‘Rule Breaker’ Lipstick, Rimmel ‘Black Tulip’ Lip Liner and MAC ‘Burgundy’ Lip Liner. My go-to look lately has been a smoky eye with a slight wing and dark lip, having quite bright green eyes anyway, this combo really makes my eye colour stand out and I love it! My wardrobe is jam packed with checked shirts.. So I decided to get two more, oops! These two are both from New Look and they are the softest shirts I have ever owned! Out of the two, the darker shirt is my absolute favourite, it fits like a dream and the sleeves are a good length which is rare! I ‘ve always been a blue or black jeans kind of girl, but I found these on Depop and I couldn’t help but have them. They’re not as comfy as the current Leigh jeans, however, I still love them. I’ve been wearing them with a cream jumper, black leather jacket and some flats with the makeup look I mentioned above.. I just love it all! Another Depop find.. Brand new boots for £15 makes a happy Sophie! They fit perfectly and I’m still nowhere near as tall as my boyfriend which is great. They’re so comfortable and I know I’m going to get a lot of wear out of them even if the heel is a little higher than I would wear day to day, but they’re too nice to just keep for special occasions! 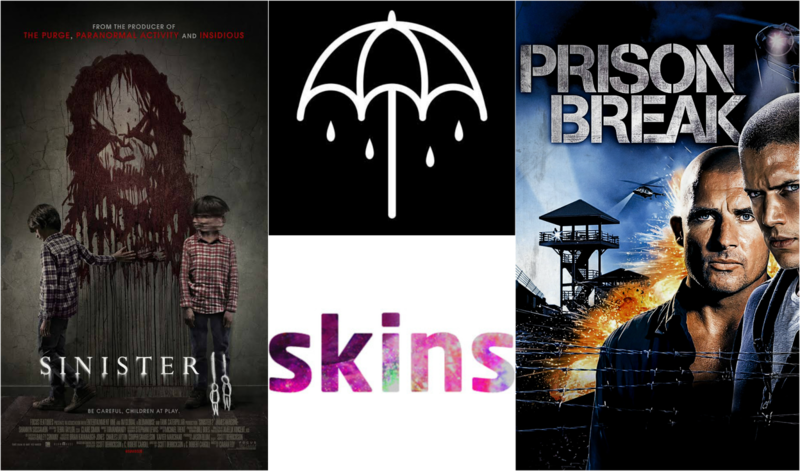 I have listened to BMTH for literally years and I love them, however, the past two albums they have released have been truly amazing! ‘That’s The Spirit’ was released on the 11th of September and I don’t think a single day has passed where I haven’t listened to the album at least twice.. My favourite songs on the album are Throne, True Friends and Drown. I went to the cinema with the boyfriend to watch this and I absolutely loved it! I really liked the first one so when I found out they were making a second film, I couldn’t wait to watch it. I think I preferred this one to the first because there’s more going on, although I will warn you that there are A LOT of jump-scares which almost had my heart jumping out my chest because we were sitting below a speaker.. Rookie mistake! I cannot describe how much I love this show! Started the series a few weeks ago and we’re just starting season three.. I’m not usually into shows like it, but there is something that has a total hold over me, I love how often the plot twists and turns. You think you’ve figured out what’s about to happen, but nope.. Something better happens! I have watched all seven seasons and this saddens me deeply, I wish there were more! It’s one of those things that you keep watching then wonder how many days have passed because it draws you in. There’s always a little cliffhanger which means you have to watch the next episode to see what happens..
And that’s been my September, I also turned 22 this month, so a huge thank you to those who wished me a happy birthday and to my friends who read this, thanks for the pressies and birthday wishes too! 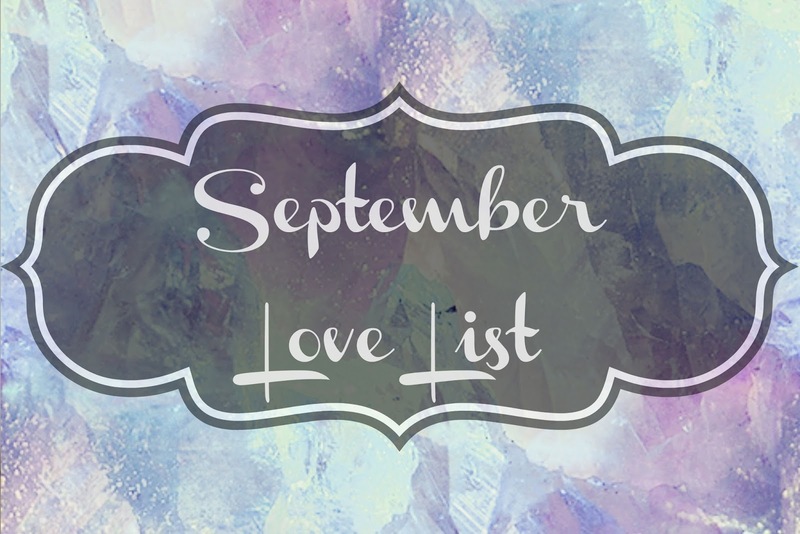 What would you add to your September love list? 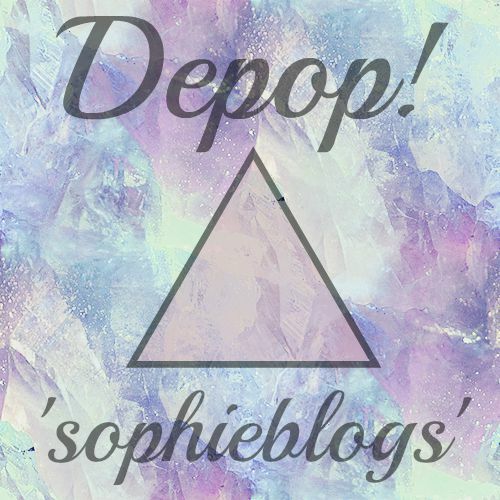 So I‘ve hopped onto the Depop bandwagon and I see why so many people love it! Originally I was just using it to sell a few of my bits and bobs, but it wasn’t until I decided to search for a few things out of curiosity and now I can’t stop buying things.. Someone, please take away my money! 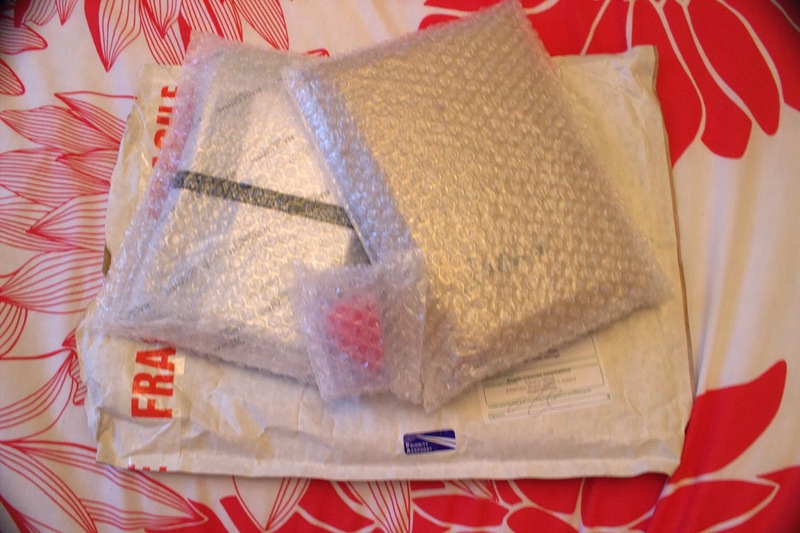 I’m still waiting for two parcels, but I couldn’t wait to write a post about.. My pre-birthday presents to myself? That’s a valid excuse right?! 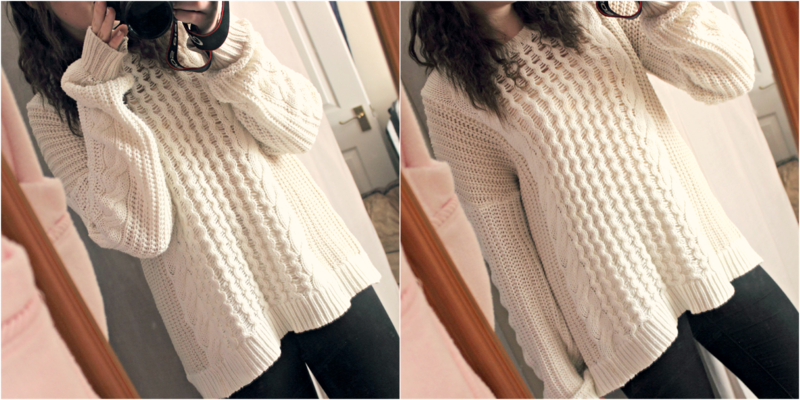 This is quite possibly the comfiest jumper I now own and it only cost me £9.50 including postage, the jumper is quite oversized which is perfect for me because I like my sleeves to be quite long. I’ll be going to Blackpool in October and this baby will definitely come with me! The next few items I bought all in one bundle.. This little bundle only cost me £8 including postage, meaning each item only cost me £1.60 which is pretty good considering the Barry M palette is nearly £7to begin with. I only wanted the eyeshadows to be fair, but the girl decided to throw in a few freebies which was nice of her. So that’s all the things I have, for now, I’ve been on such a spending spree so expect a fair few hauls in the future! Feel free to leave your Depop accounts below. A little while back, I went a tad crazy in Boots and bought quite a few beauty items, one of which being the Revlon PhotoReady Perfecting Primer (£11.99). 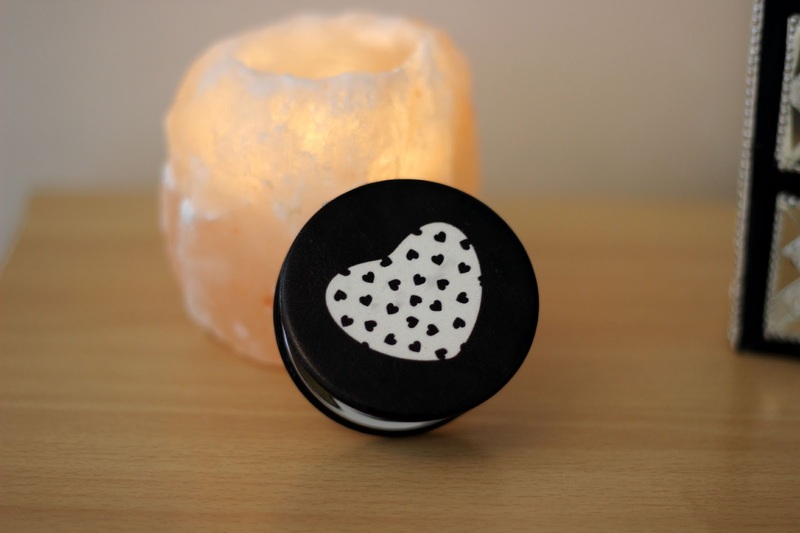 This is the first proper primer I have used in a very long time and I must say I am impressed with the results! 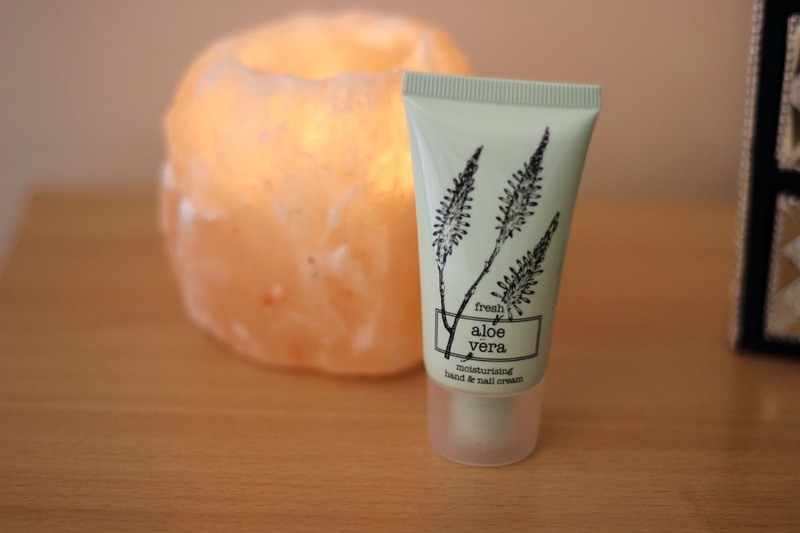 It’s a lovely velvety soft texture that just smooths onto your skin like a dream and doesn’t stick to any dry patches or roll up into little balls, unlike a few primers I have tried in the past! No matter how lazy I am feeling with my makeup routine, this always makes my skin appear flawless and helps my makeup to look fresh throughout the day. I am already on my second bottle of this primer and I can see it always being in my makeup collection because I cannot find any faults with this product. If you would like to see what else I bought then you can watch the beauty haul I uploaded on my YouTube channel here! Just a short and sweet little post as I want to get into blogging again because I do miss it but work is still all over the place but I WILL find some time in my hectic schedule! Thank you so much for all the support and patience you have had with me recently, you’re all little stars! I would like to start off by saying Happy New Year and as it is a new year things are going to be starting to change! 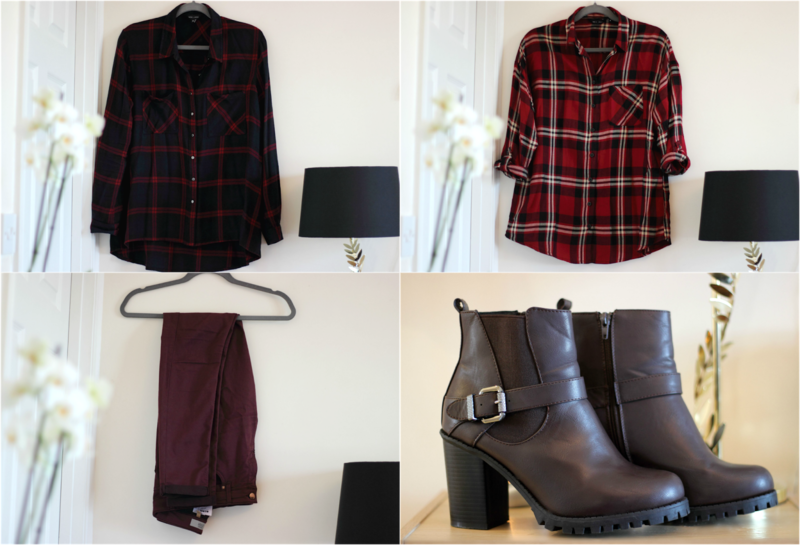 Blogging more frequently will be one of them, so here is the first post of the year! After quite a few months on planning to buy a few things from Blank Canvas Cosmetics, I took the plunge in November and I am more than pleased with the items I ordered. 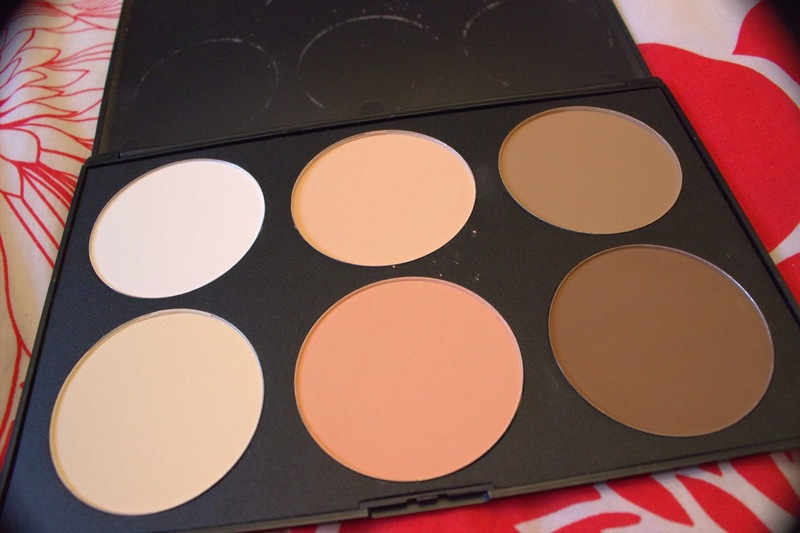 Blank Canvas Cosmetics are an online cosmetics brand based in Ireland. 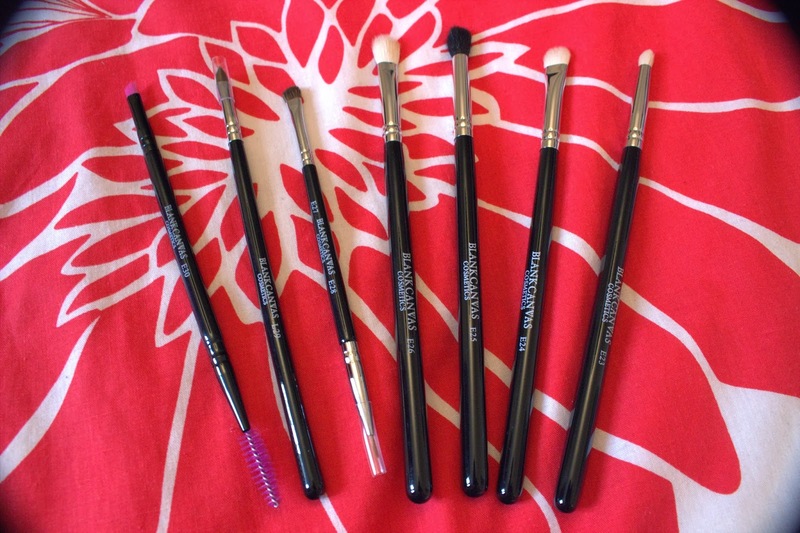 They sell excellent makeup palettes, brushes and beauty blenders at affordable prices. One thing that I will say is that they make sure that their items get to you in perfect condition and the amount of packaging that surround the items proves that! 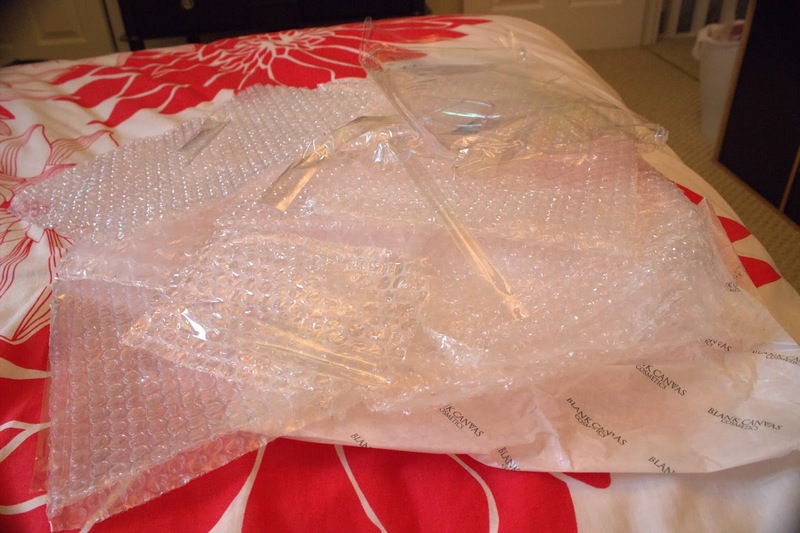 It was literally one bag inside another then surrounded by three more layers of bubble wrap! I bought the Face Perfection Kit 1, which includes a 12 piece my face and eye pro deluxe professional brush kit, contour/highlight kit and an airbrush blender. The airbrush blender has been a winner for me so far, it applies my foundation so smoothly which leaves my skin looking flawless! 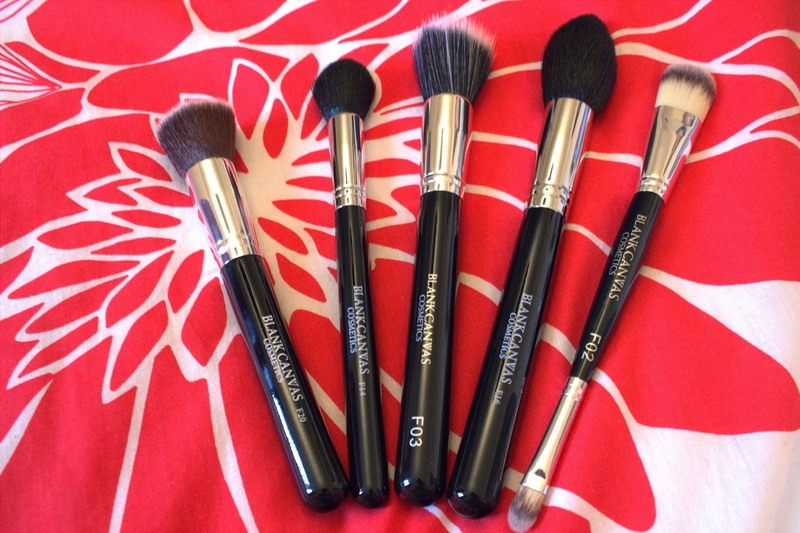 In the past with brushes, I have found that some can make my foundation look a little cakey and stuck to my skin. However with the airbrush blender works the foundation into my skin so seamlessly it’s amazing! I haven’t tried the face brushes yet however I have used the eye brushes and so far I am quite pleased, they’re not as soft as my Real Techniques, however, I think after a few washes they will become less stiff! As for the contour/highlight kit, I recently went away so I only packed the basics and I took this kit with me. It was my setting powder and my eyeshadow so I would say that it is a great multi-tasking kit! Once I have been using the entire set for a few months, I will do an individual review for everything. All in all, I will most likely purchase more items from Blank Canvas Cosmetics in the future. 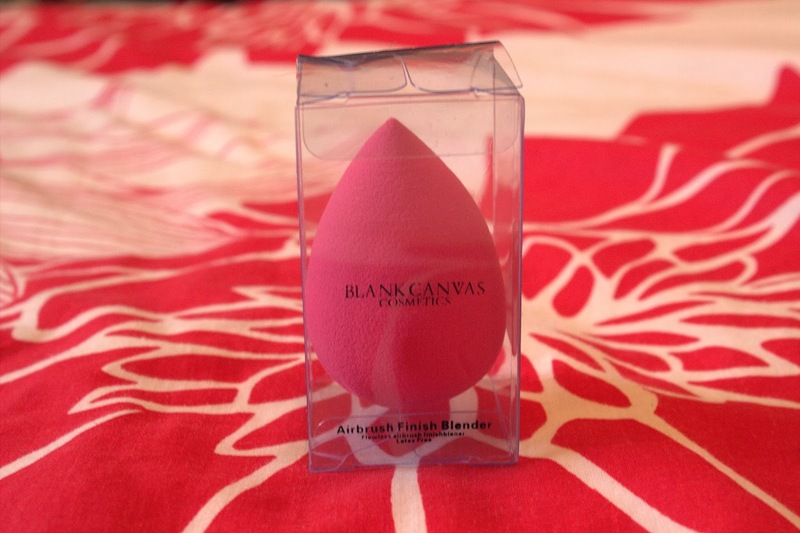 Have you got any items from Blank Canvas Cosmetics? If so, what are your thoughts about them? You can’t buy it online… I wonder why?! May I just start off with… THIS IS AWFUL! I got this free with a magazine a little while back and I have only just started using it every so often. The whole look of the packaging screams tacky and the formula of the mascara supports that. So let’s just break this down bit by bit. The brush is way too big for the tube so if there is any remaining mascara on the brush when you go to put it back in the tube it goes literally everywhere! The mascara goes on extremely clumpy and makes all my lashes looks like one big super lash! The mascara dries and flakes which gives you that lovely ‘I’ve just been punched in the eye’ look. It smells a little funky too. Also to put the cherry on the cake, I had the most horrendous reaction to this mascara, it made my eyes puff up, turned the whites of my eyes scarlet and they wouldn’t stop watering until I removed it. So this is by far the worst mascara I have ever used and it now has a lovely new home in the bin! If you’ve tried this mascara tell me your opinions on it, maybe I just had a bad one who knows but I’d love to hear your thoughts. 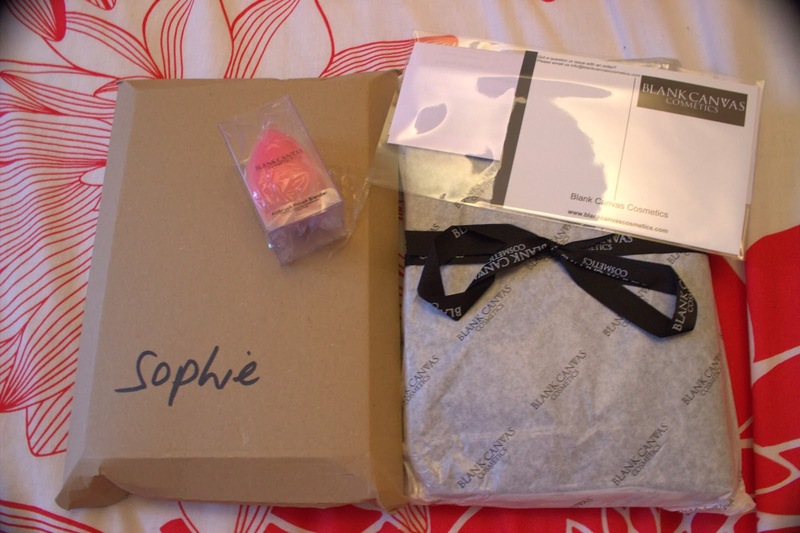 For today’s post I am reviewing the Accessorize ‘You Are Everything’ Eyeshadow Palette (£8.95). Over the past few weeks, this has been my go-to palette simply because of all the variations of colours and textures that are in this one palette! In my opinion, £8.95 is quite cheap for 32 shades! I find that I don’t have to use any eye primer to stop them from creasing which I think is amazing and they last on my eyes literally all day without fading! I have tried a lot of eyeshadows in my 3 years of using makeup and I can honestly say that all 32 shades are my number one! 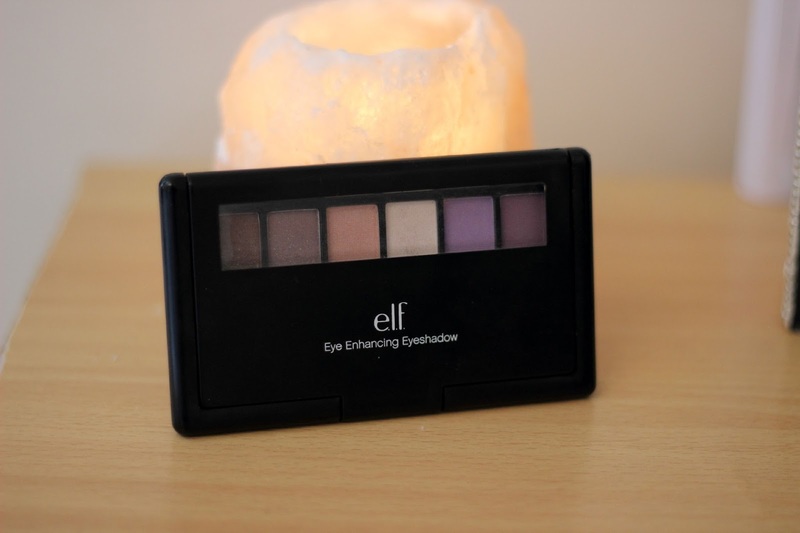 So if you buy any palette then make sure it is this one and fall in love with it just as hard as I have! If you already have it, then tell me what you think about it.